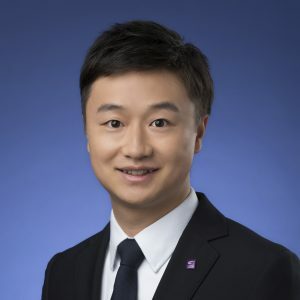 Prof. Wenxi (Griffin) Jiang joined The Chinese University of Hong Kong (CUHK) Business School in 2015 as an Assistant Professor of Finance. He obtained a PhD in Financial Economics from Yale University in 2015 and a bachelor’s degree from Renmin University of China in 2007. His research interests include asset pricing, institutional investor, and behavioural finance. His research papers appear at the Journal of Finance and Review of Financial Studies. He teaches undergraduate course FINA 3010 Financial Markets at CUHK. H. Hong, W. X. Jiang, N. Wang, and B. Zhao (2014), “Trading for Status, ” Review of Financial Studies, 27(11), 3171-3212. J. Chen, H. Hong, W. X. Jiang, and J. Kubik (2013), “Outsourcing Mutual Fund Management: Firm Boundaries, Incentives, and Performance,” Journal of Finance, 68(2), 523-558.